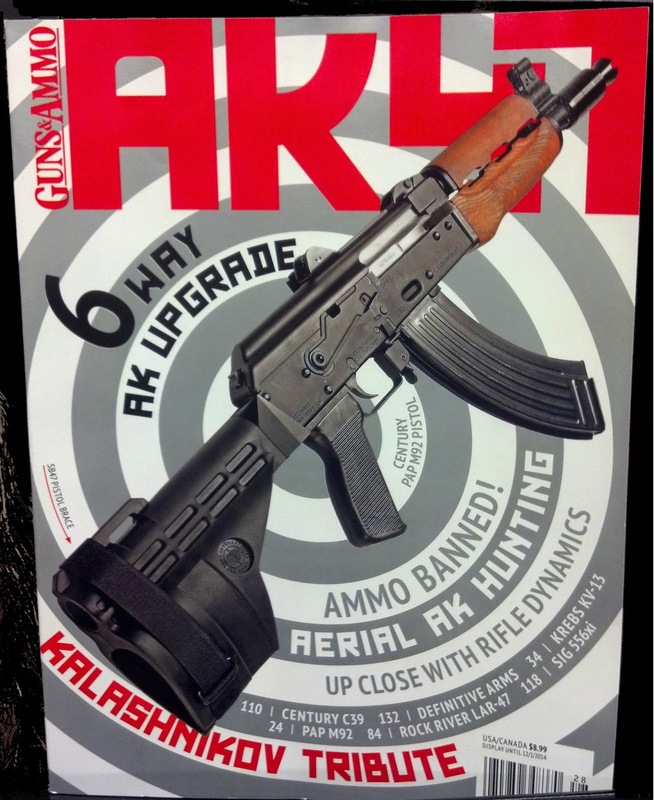 If you are still into that hard copy type of reading like we are from time to time, then definitely pickup the new issue of AK47 from Guns and Ammo. They cover a lot of the latest topics on the Kalashnikov rifle along with an obligatory tribute to the recently passed man who started it all. 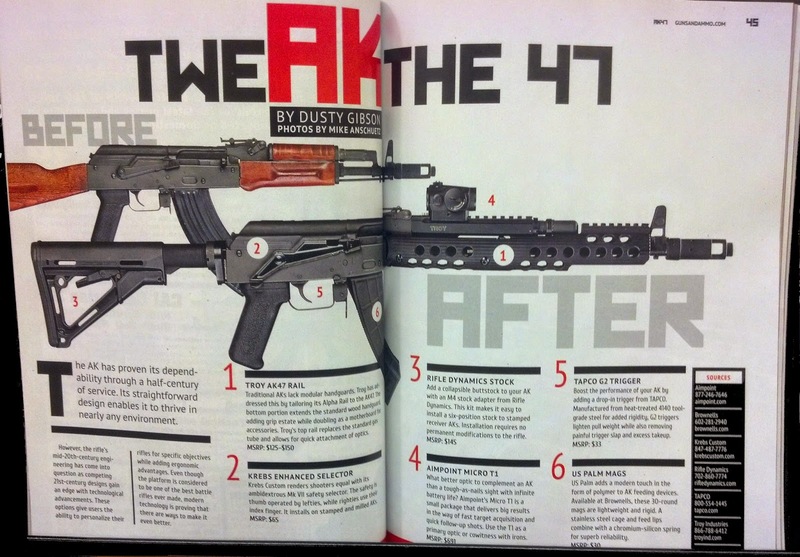 An overriding theme of the magazine was the modernization of the AK platform, however they do take a look back and even look at the Makarov, because where there is an AK there must a Makarov somewhere close by. Below is a great look at the old vs. new paradigm where you can see some of the latest popular firearms components utilized on the AK of the 21st Century. The Troy AK-47 Battlerail just came out this year and just recently started shipping, so its about as new as you can get. Guns and Ammo incorporates great profiles on U.S. companies manufacturing AK-47 rifles and parts including Definitive Arms and Century International Arms. We thought it was well worth the grab. Pick it up wherever Guns & Ammo are sold.